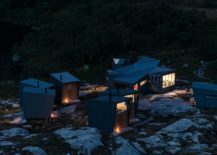 Dreaming of a reclusive and rejuvenating paradise that is an absolute treat for nature lovers and those desperate to get away from the mundane rush of urban life? 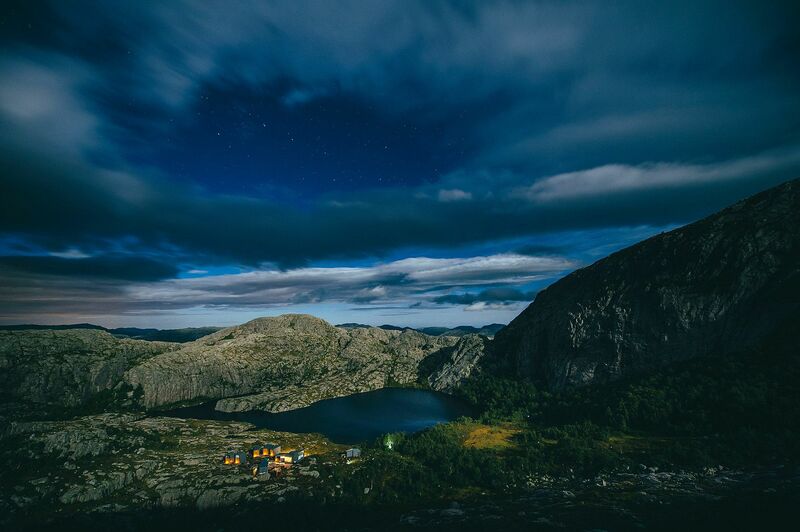 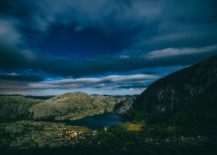 Norway definitely offers many such havens that take you away from the world to which you are accustomed and seemingly transport you back in time! 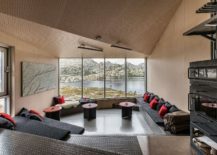 While Norwegian fjords are famous across the globe, we have another delight from the country that offers an equally enchanting and idyllic escape to a select few. 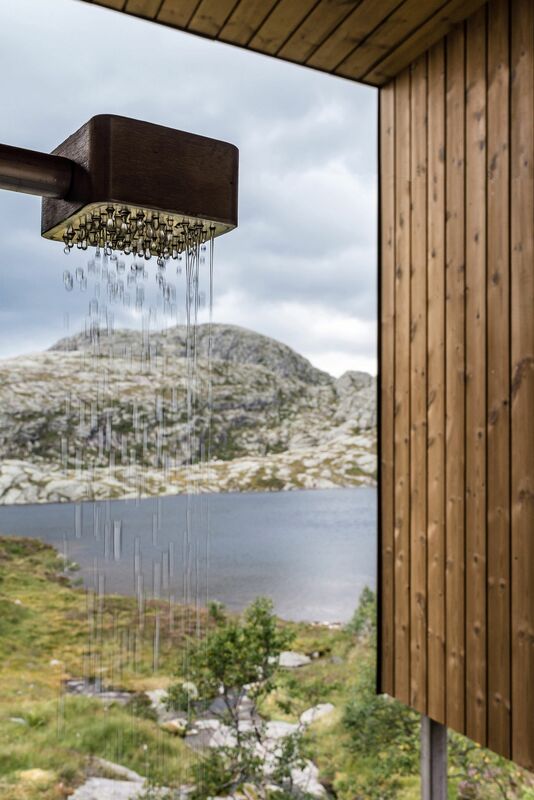 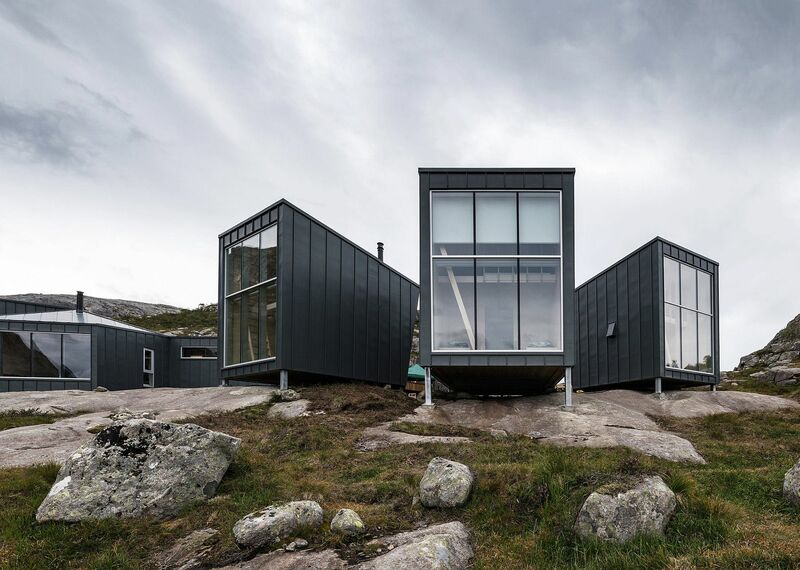 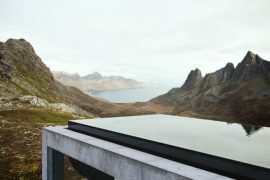 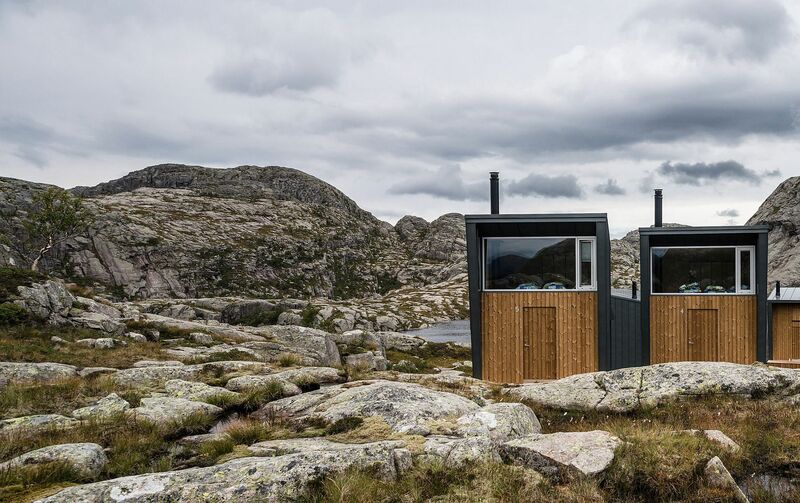 Skåpet Mountain Lodges in Soddatjørn designed by KOKO architects combine contemporary design, inviting warmth, spectacular views and a self-catering environment in a seamless fashion. 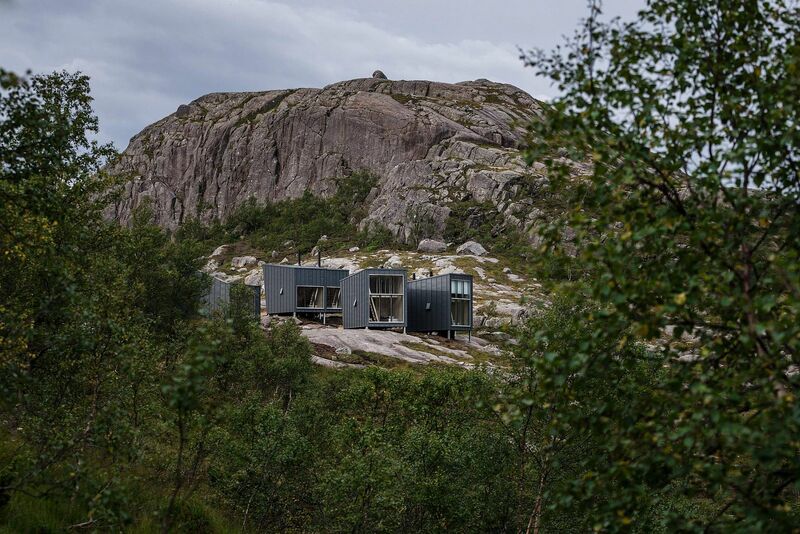 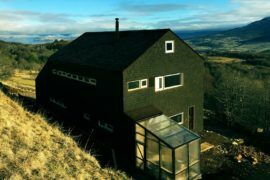 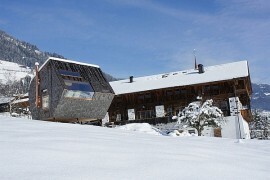 The exterior of these mountain lodges is crafted from rolled zinc, with timber making its presence felt. 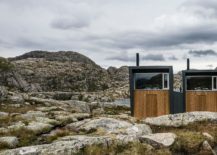 This metallic exterior gives these awesome cabins an ability to withstand the harsh weather of the region and tolerate windy conditions while providing a durable, low-maintenance structure. 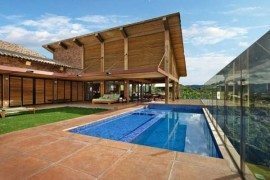 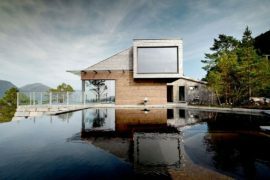 On the inside, it is wood that holds sway, with glass also becoming a part of the modern narrative and design. 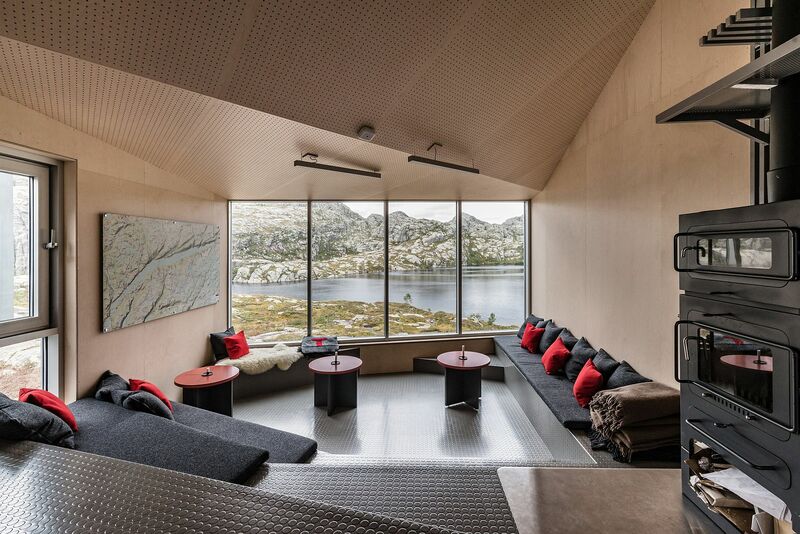 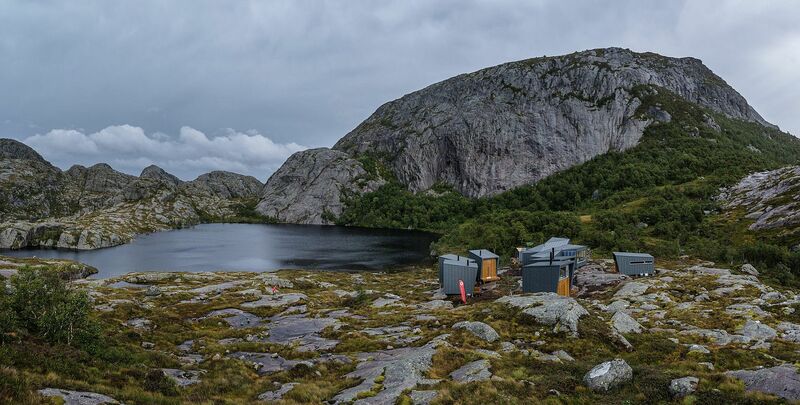 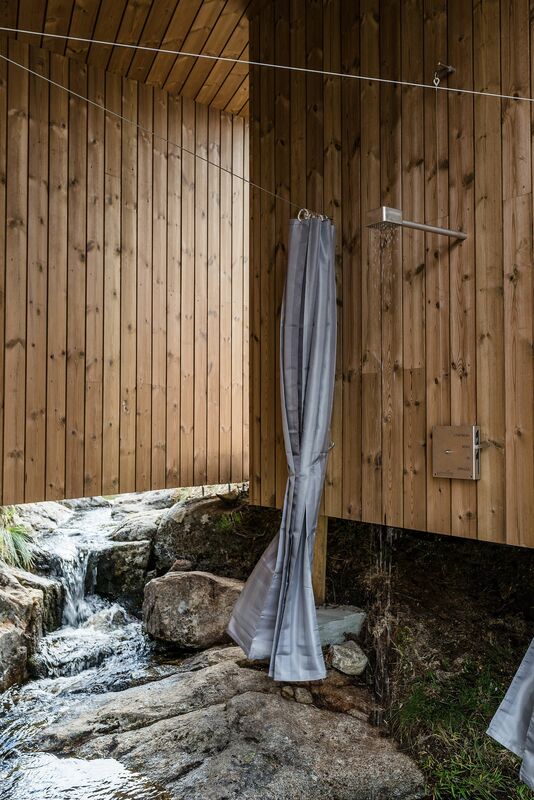 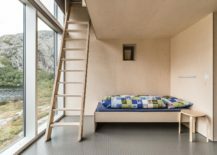 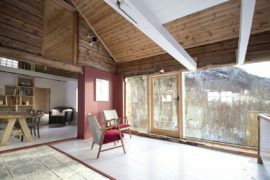 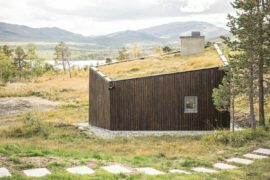 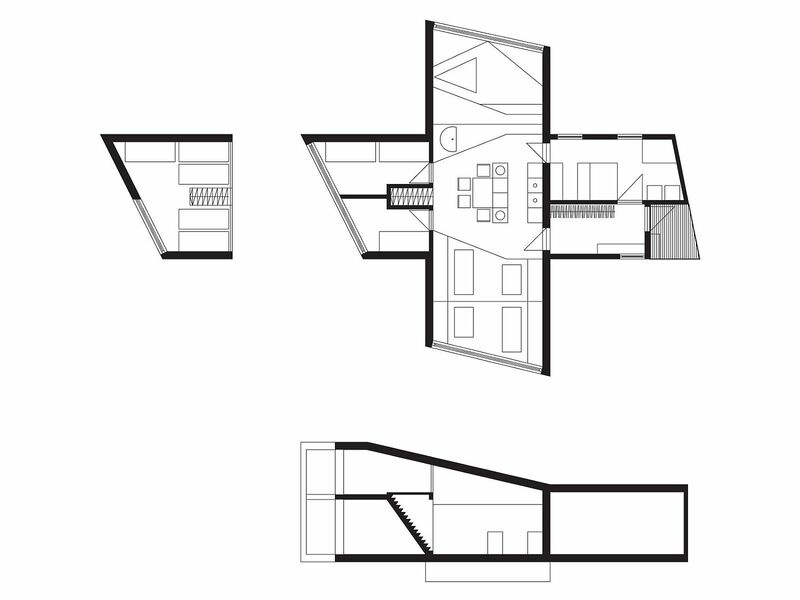 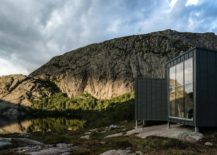 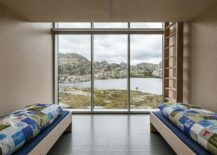 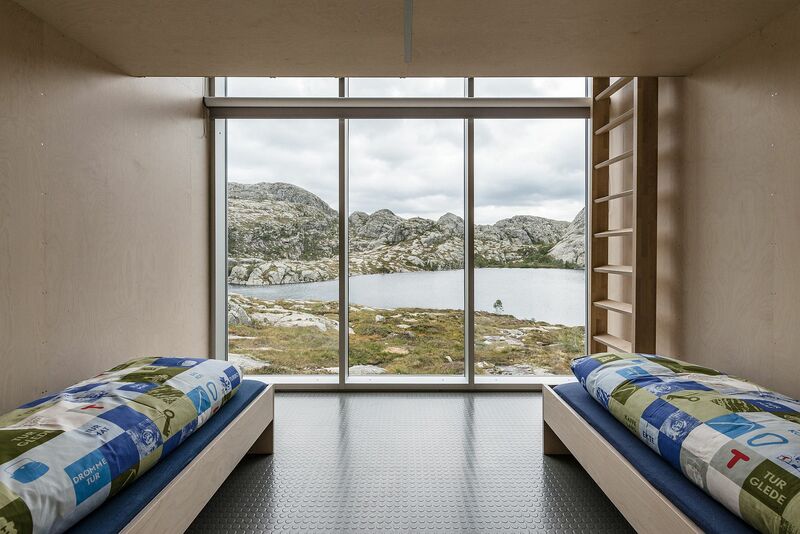 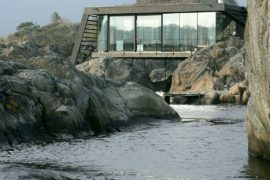 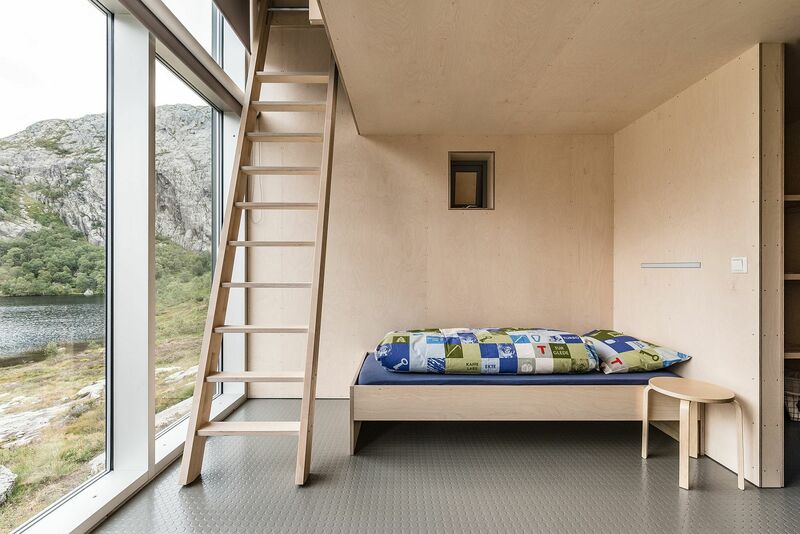 Offering unabated views of Soddatjørn Mountain Lake, the main structure of the cabins can hold nearly 30 guests, with additional units hosting five. 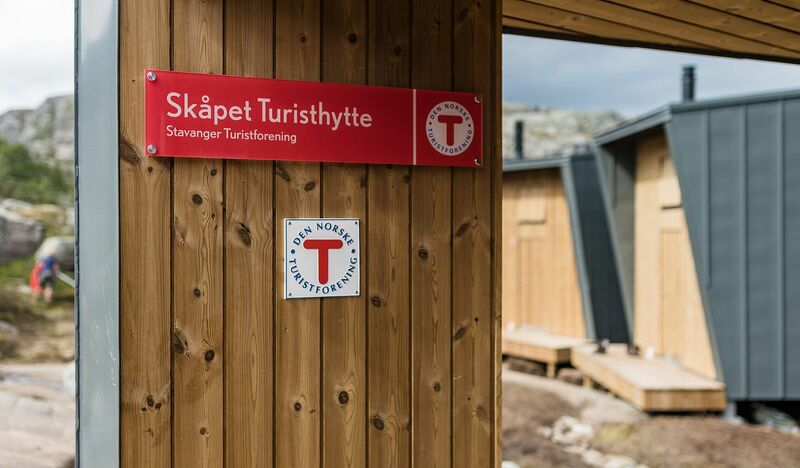 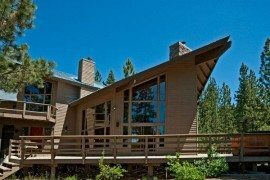 The system is built on trust: each person leaves money for the accommodation in a box inside the lodge or fills in an invoice form with their personal information. 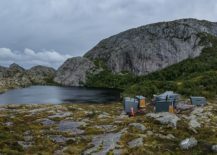 It is also the task of the visitors to take care of the visitors coming after them: everyone replenishes the food supply, brings firewood and cleans the lodge before they leave.